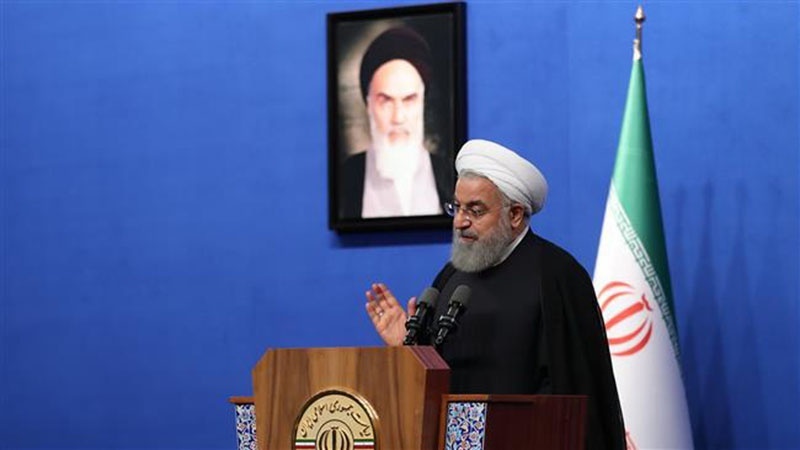 President Hassan Rouhani says the United States cannot make decisions for Iran and other independent countries after US Secretary of State Mike Pompeo demanded broad changes in the course of the Islamic Republic’s foreign and domestic policy. “All world countries want independence in their decisions and perhaps Americans are able to advance their agenda in some places through pressure, but logic does not accept them making decisions for the world,” Rouhani said on Monday. “Today, we must help each other more” because the current US administration has regressed to 15 years ago and is repeating the same remarks made by former US president, George W. Bush, in 2003, he added. The Iranian president emphasized that it is “not acceptable at all” that a man who worked at an espionage service for many years is now making decisions for Iran and other countries after assuming the position of US secretary of state. “Who are you to decide for Iran and the world?” Rouhani asked.